ItemE-02792 - Construction of the Grand Trunk Pacific Railway; Stewart Brothers steam shovel taking out the last cut near Fort Fraser prior to connecting up. ItemE-02788 - Construction Of The Grand Trunk Pacific Railway Near Burns Lake. ItemE-04102 - "G.T.P. 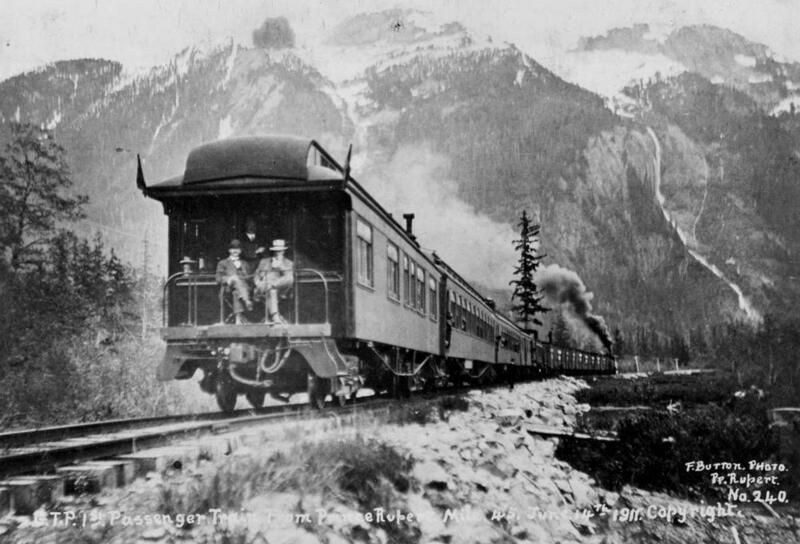 first passenger train from Prince Rupert, Mile 45"
Item E-04102 - "G.T.P. first passenger train from Prince Rupert, Mile 45"
"G.T.P. first passenger train from Prince Rupert, Mile 45"